Nicola Marter was born with a gift. When she touches an object, she sometimes glimpses those who have owned it before. When a woman arrives with a small wooden carving at the gallery Nicola works at, she can see the object’s history and knows that it was named after the Firebird - the mythical creature from an old Russian fable. Compelled to know more, Nicola follows a young girl named Anna who leads her into the past on a quest through the glittering backdrops of the Jacobites and Russian courts, unearthing a tale of love, courage, and redemption. 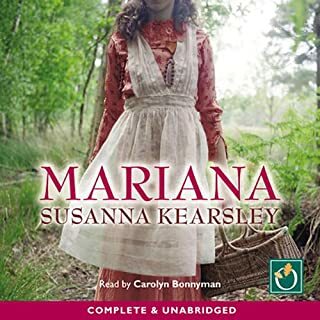 ©2013 Susanna Kearsley (P)2013 Audible, Inc.
Nicola Marter has a gift - when she touches an object, she can see into its past. When she beholds a small wooden carving called the "Firebird," her abilities transport her to 18th century Russia, where she finds young Anna Moray, one of the object's original owners. 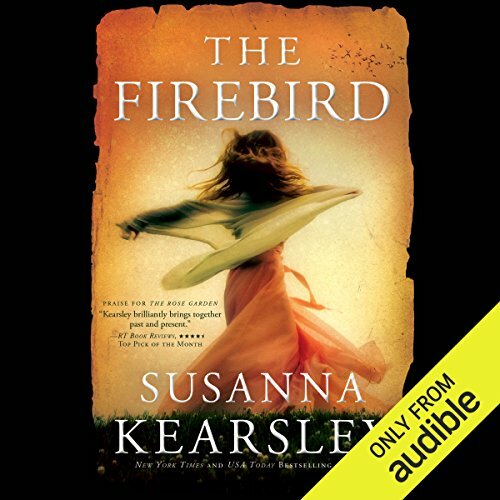 As impressive as time travel is, what I kept marveling at was author Susanna Kearsley's writing. She effortlessly entwines two narratives in The Firebird, and manages to make them equally compelling. 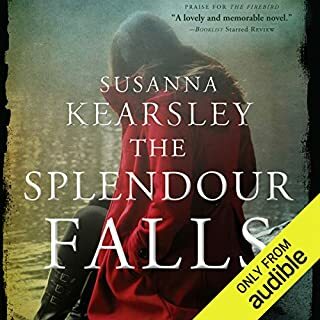 Her beautiful, rich prose created such vivid images in my mind (enhanced by the always excellent narrator, Katherine Kellgren), that I feel as though I have actually met all of the characters and seen the places we journey to in this book. As soon as I finished listening, I immediately downloaded The Winter Sea, so that I could learn even more about Anna's family. Suffice it to say, Kearsley is quickly becoming my new favorite author. This review is tough because I am comparing it to "The Winter Sea", which I loved and gave 5 stars. This book is a worthy continuation of that story. 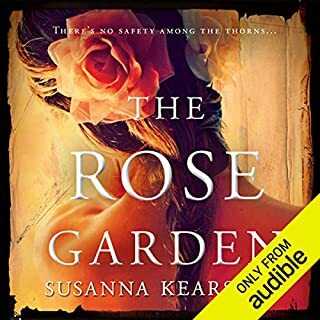 I did enjoy this book, but not as much as The Winter Sea because "The Firebird" is much more involved in the romantic storyline of the past and present characters than on the historical times of Russia and the Jacobites while the Winter Sea was heavier on the historical times with the romance as a backdrop. I would have enjoyed more history in this one. Additionally, whereas the narrator of the Winter Sea immediately engaged me, I had to get used to this one. If you haven't listened/read the Winter Sea first, I would highly recommend it. I believe this book could be a stand alone, but I believe you get much more out of it reading it in sequence. Overall, it is a solid 4 star read. I love Kearsley's stories. But the narration for this story was painful. The reader has a "haughty" tone when reading as the main character. Miss Jane Hathaway from Beverly Hillbillies came to mind while listening. Then there's the way she runs sentences together - as if punctuation is merely a suggestion that can be ignored. Makes it hard to follow the story. It's like she was in a rush to get through the book. 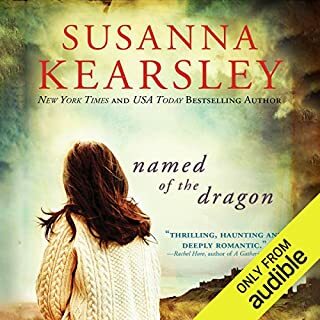 I enjoy Susanna Kearsley and loved each one of her other audiobooks, even though each narration is very different than any other. This one did not do a great job with pace, volume or accents. Shame! It was a big distraction to me for much of the book. Seemed as if she was rushing and almost shouting for half the book. I would so much have preferred a different performer. Would you be willing to try another book from Susanna Kearsley? Why or why not? This one felt a little forced; pulling all the strings together from other books. Not as natural as the others. I love getting two books in one as the story jumps from the present to the past and back. The historical story is richer for its details, as well as its more diverse characters, but both stories were satisfying. As with all the best writers, Kearsley's prose seems effortless. She's a master of setting mood through description, and her characters are well delineated. The only fault I can find in this one is that all of the young males are stock Romance characters (tall, well-muscled, enigmatic, masterful and never crude). That may keep the ladies coming back for more. As for me, I'll try anything Miss Kearsley puts her hand to, because the power of her writing overcomes any cookie-cutter characters that may insinuate themselves into her stories. I loved The Winter Sea, so I was anxious to listen to The Firebird. This one was more heavy on the romance, but I still loved it. The story of Anna as a child, Anna whisked away to a convent in Belgium for her own protection, Anna in St. Petersburg, Russia at the time of the Czars . . . and parallel story of Nicola and Rob in modern day who both have the "gift" of seeing into the past . . . I learned a lot about the history of the Jacobites, Scotland and Russia . . . and as for Rob and Nicola's physic abilities, well, they aren't plausible . . . but who doesn't love a good fairy tale? Ms. Kearsley never disappoints, and this story is right up there with 5 stars, as are her other books. I've read. I listened to "The Winter Sea" a long time ago, and this story brings back some of it's characters for an update many years later. It's a beautiful narration, recreating many historical places and people bringing this delightful, and sometimes tear jerking tale to light. The 14 hours fly by, so don't let that dissuade you from listening, as it's well worth your time. This is one of the best audiobooks I have listened to. 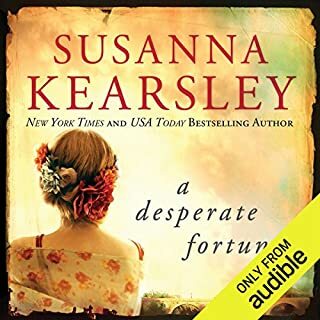 I love Susanna Kearsley's writing style and the beautiful characters that you come to love. She has her stoies flash back from modern times to some point in the past fluidly. I always am disappointed when it is time to change centuries but quickly become enraptured with the current tale and forget I was ever disconcerted. This book all revolves around finding out the history of a small figurine called The Firebird. 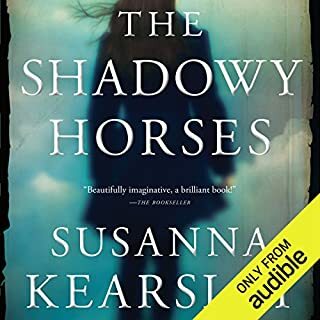 The story travels between London, Scotland, and Russian and the reader gets to experience it all like he is there because of Kearsey's wonderful imagery. There is romance, family ties, faith, and a touch of supernatural that makes it a perfect blend for me. Katherine Kellgren does a spectacular job narrating this book and handles a variety of accents with perfection. I loved the Winter Sea and was excited to listen to this book. The premise of the story sounded so interesting and I am a sucker for historical fiction dealing with this time period. But the narration...oy! Interestingly, she did a great job voicing the roles of the books characters...but the story narration is so grating and annoying, it made listening to the book downright painful. I'll buy a copy and READ it instead. Without giving away spoiler, which you will discover in the first few pages, I liked the instrument she used to move back and forth between story lines. Yes the story is a little heavy on romance and all too predictable, with the men being something out of a yard sale romance novel. However, the story itself moved along quickly enough that this was not a serious drawback. The narrator was absolutely a dream to listen to and I wouldn't mind hearing more of her. There were lots of different accents to handle, Scottish, Russian, Irish, British, American- and they may not have all been "strictly authentic, ( I am not an expert) but her ability to move quickly between them was amazing as well as her ability to handle both men's and women's dialog.